TOKYO -- U.S. supplier Borg Warner on Friday said it expects to see sales grow for its global hybrid and electric vehicle parts, even as a U.S. review of fuel economy standards threatens to slow emissions improvements in the world's No. 2 auto market. U.S. demand for hybrid and electric cars could take a hit if President Donald Trump decides to roll back tough fuel efficiency standards set by former President Barack Obama late last year. Borg Warner CEO James Verrier told Reuters any decline in U.S. demand would be more than offset by the growing market in China and Europe, where they continue to toughen emissions standards. "Our belief is that there will continue to be a strong increase in fuel economy emissions standards," Verrier told Reuters in an interview during a visit to Japan to meet with clients including Toyota Motor Corp.
"What this means for us is that in our business nothing has really changed, it's business as usual, and that's what we see with the automakers." 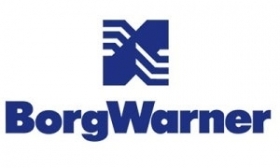 Borg Warner, which counts Volkswagen Group, Ford Motor Co. and most major global automakers as clients, expects to boost revenues from hybrids and electric vehicle parts to around 16 percent of total revenues in 2023, from around 1 percent currently. "As our customers look at what the fuel regulations may be in China versus the United States versus Europe, we can help them figure out the best mix of propulsion technology they can have to satisfy each region," Verrier said. The company has been expanding into hybrid and electric car parts, including transmissions and drive modules for electric cars and turbochargers and clutches for hybrids. Most of the demand for its electric vehicle parts came from Chinese automakers, including Geely Automobile Holdings and Great Wall Motor Co., he said. While progress towards greener cars may stall in the U.S., Beijing has proposed requiring 8 percent of automakers' sales to be battery electric or plug-in hybrid vehicles by 2018. The target then rises to 10 percent in 2019 and 12 percent in 2020.